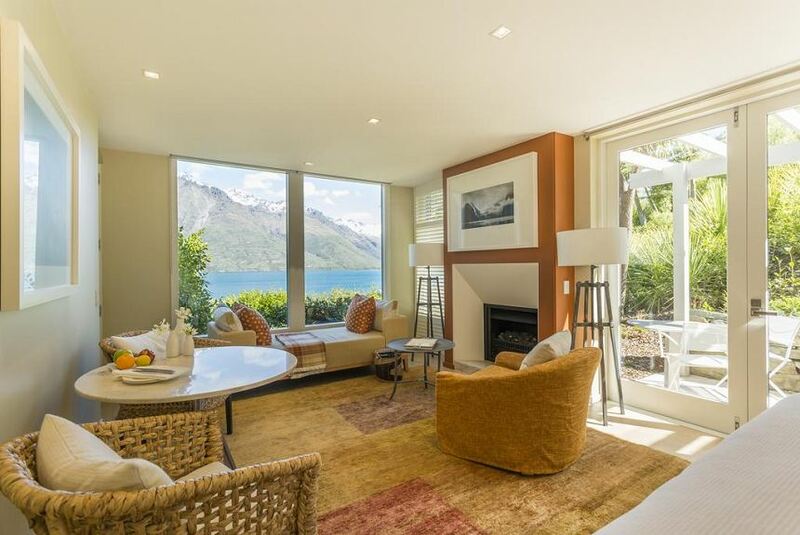 Located on Lake Wakatipu, Matakauri Lodge offers luxury suites and villas, each with a private terrace featuring unspoiled mountain and lake views. Accommodations includes pre-dinner drinks with hors d'oeuvres, gourmet dinner, full breakfast and complimentary in-room mini-bar including domestic beers (excluding liquor and wines). Only a 7-minute drive from the center of Queenstown, and a 15-minute drive from Queenstown International Airport, the lodge is a wonderful base from which to explore the many experiences and activities for which the town is famed. Complimentary Wi-Fi access is included. Facilities include a luxury day spa, outdoor heated infinity swimming pool with spa pool, and a fully equipped fitness center. The lodge’s stylish shared lounge and dining spaces feature open fireplaces. Every suite has its own private patio, sitting area with fireplace, walk-in wardrobe and bathroom with large bathtub. Air conditioning, LCD TV, and DVD Player.